Born Gloria May Josephine Svensson on March 27, 1897 (or 1898), actress Gloria Swanson epitomized Hollywood glamour during the silent film era. She was raised in Chicago, where, while still a teenager, she was hired by the Essanay film studio as a movie extra. She caught the eye of actor Wallace Beery, who insisted that she pursue a film career. Accompanied by her mother, Svensson moved to Hollywood in 1915. The next year, she married Beery, but the couple divorced in 1918. It was the first of her six failed marriages. 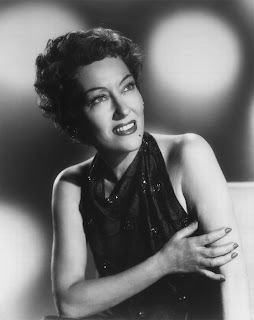 Performing under the name Gloria Swanson, she slowly learned film acting techniques while under contract to the Keystone and Triangle studios. Swanson was already a leading lady when she was signed by Paramount, but it was there, working with directors Cecil B. DeMille and Allan Dwan, that she became a star. Swanson was usually cast as sophisticated seductress, carefully posed and lit to highlight her beautiful features and perfect figure. By the mid-1920s, Swanson was one of Hollywood’s most popular actresses. She owed much of her fame to her offscreen antics, which she engineered to complement her glamorous onscreen image. Swanson always dressed lavishly and expensively, making her a regular feature in the day’s fashion magazines. Perhaps with her image in mind, she made a French marquis her third husband in 1924. Returning to the United States after her marriage, she organized a parade in her honor that drew tens of thousands of well-wishers. When her contract with Paramount expired, Swanson rejected an extravagant salary and left the film company to found her own. In 1927, she established Swanson Producing Corporation with the financial backing of her lover Joseph P . Kennedy (the father of future president John F. Kennedy). Ignoring the opposition of film censor Will Hays, Swanson adapted W. Somerset Maugham’s novel Rain as Sadie Thompson (1928). Playing a unrepentant prostitute, Swanson delivered one of her best performances and earned her first Academy Award nomination for best actress. Inspired by Sadie Thompson’s success, Swanson began work on a lavish production of Queen Kelly, the story of an innocent girl sent to live with her brothel-running aunt. The movie was directed by Erich von Stroheim, a Hollywood veteran wellknown for his disregard for budgets. The production became a fiasco. Although Swanson poured more than $750,000 into the film, it was never completed. Swanson briefiy bounced back with The Trespasser (1929), for which she received her second Oscar nomination. But several unsuccessful movies followed, forcing her to shut down her production company. By the late 1930s, Swanson was largely retired. The following decade, she made numerous attempts at a comeback in films, onstage, and on television, but her efforts went largely unnoticed. Not until 1950 did Swanson find the right vehicle to bring her back into the limelight. The movie was Sunset Boulevard, a biting black comedy about behind-the-scenes Hollywood directed by Billy Wilder. Wilder considered several older actresses, including LILLIAN GISH and MAE WEST, for the lead role of Norma Desmond, an aging film star who refuses to admit her career is over. 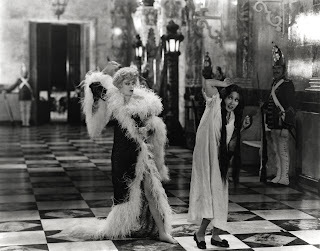 But as the epitome of the silent movie queen, Swanson won the part and was again nominated for an Oscar for her performance. Alternately pathetic and magnificent, Swanson’s Desmond became one of American film’s memorable characters. With her silent films now largely forgotten, it also became the role for which Swanson is now best remembered. After this final triumph, Swanson acted in a few unmemorable films before returning to retirement. From time to time, she appeared on television talk shows, often promoting her health food diet. 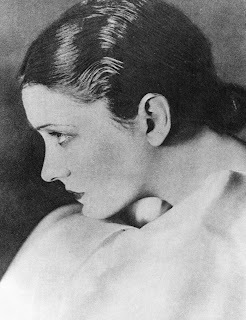 Three years after the publication of her autobiography Swanson on Swanson (1980), she died in New York City on April 4, 1983. Quirk, Lawrence J. 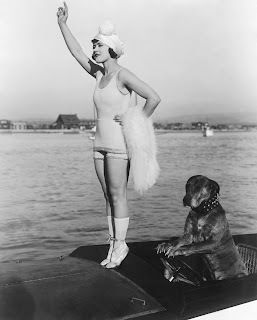 The Films of Gloria Swanson. Secaucus, N.J.: Citadel Press, 1984. Simms, L. Moody, Jr. “Swanson, Gloria.” In American National Biography, edited by John Arthur Garraty and Mark C. Carnes, vol. 21, pp. 190–192. New York: Oxford University Press, 1999. Queen Kelly (1929). Kino Video, VHS, 1989. Sadie Thompson (1928). Kino Video, DVD/VHS, 2001/1997. Sunset Boulevard (1950). Paramount, VHS, 1996.